We were delighted to host an event this week at our HQ in Westhill, Aberdeenshire, for Oil & Gas UK (OGUK) in support and preparation for the launch of their Business Outlook 2019 report. 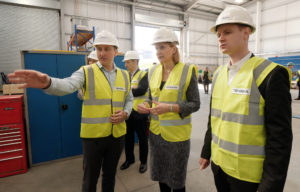 Our CEO Brad Baker, CTO Annabel Green and Advanced Completions Director Paul Lynch welcomed OGUK Chief Executive Deirdre Michie and OGUK Market Intelligence Manager Ross Dornan to Vanguard House, where they received a tour of our facilities, and discovered more about our UK and global operations, our latest technologies including wireless completions system PulseEight, and our swellables R&D lab. 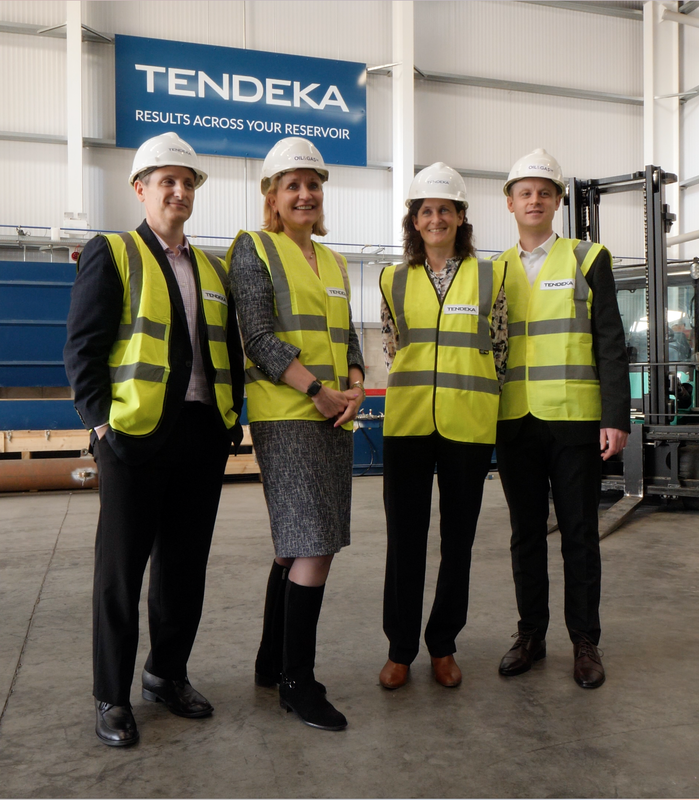 Furthermore, our management team demonstrated Tendeka’s extensive capability to develop technologies, our excellent track record and significant milestones, as well as highlighting our collaboration with industry bodies and operators. The latest report reveals that £200billion will need to be spent by exploration and production companies in existing operations and new opportunities to realise industry’s Vision 2035, and adding a generation of productive life to the basin. 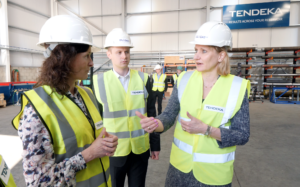 Around £200billion will need to be spent to add a generation of productive life to the basin, providing significant opportunities for both supply chain and E&P companies.